One promotion above 1st Lieutenant Polyimide? Nope-- tape material that makes duct tape hang its head in shame. Kapton polyimide is used in everything from flexible printed circuits, to the Apollo moon missions, to cryogenics. 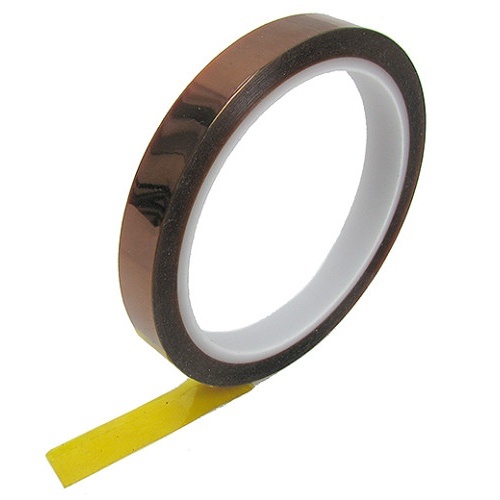 In this case, it’s a transparent golden-yellow 1/2” wide x .0025” thick adhesive tape on a 36-yard roll. 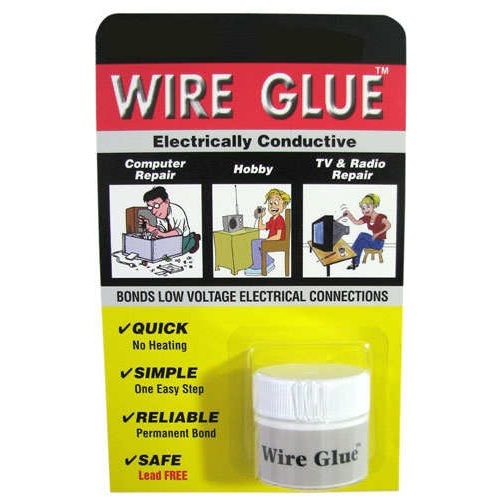 Has a normal tensile strength of 30 lbs, insulates up to 7500V, and has a working temperature from -100F to 500F. High temp tolerance makes it perfect for masking during powder coating. Made in the USA. Nuclear physicists speak of five fundamental forces: weak, strong, electromagnetic, gravity, and duct tape. 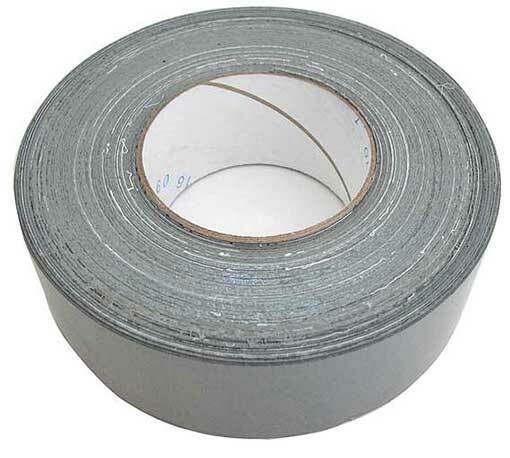 Sizes and colors of duct tape come and go in the world of surplus –– right now, we have 2" wide by 60 yd. long rolls on 3” cores, all select seconds or better. We offer you a standard grey color. 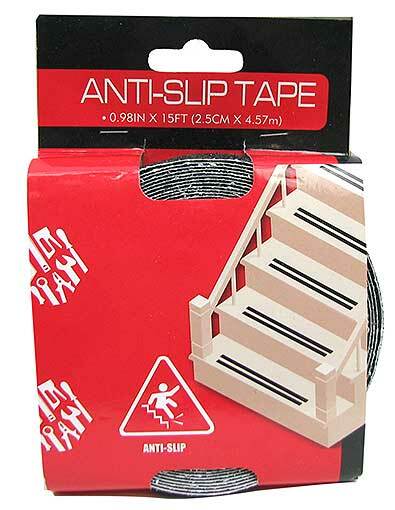 Save a hip with this roll of gritty black tape that’s ready to put on steps and ramps to stop slips and falls. 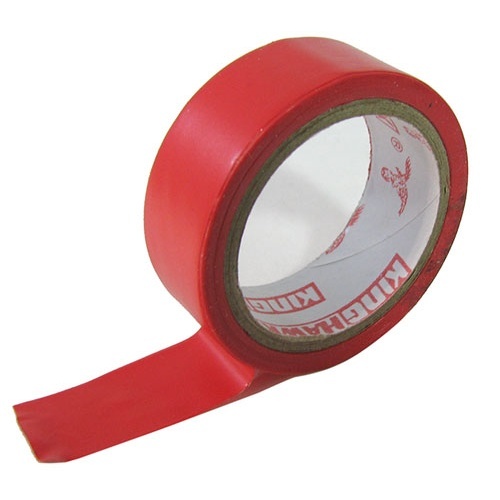 You’ll get (15) feet of 1” wide tape. Could also give you some serious extra gripping power on bats or hammers during rainy day baseball or construction projects. You can be that masked man for next to nothing. 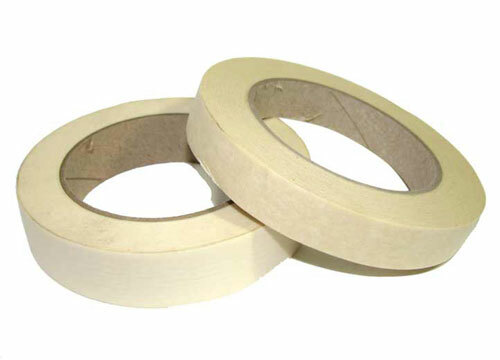 Just order our masking tape specials in 3/4" or 1" widths, both on 60-yard (or 180-foot, whichever comes first) rolls, both on 3" cores. If this tape looks familiar, it's because it's been a long-time A.S.& S. store favorite, and now you out-of-towners can buy it through the catalog and website! 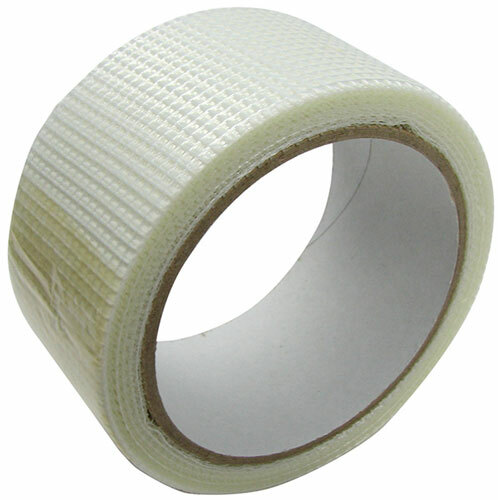 Fix those larger cracks or tape seams with this 1-7/8" wide fiberglass mesh drywall repair tape. You’ll get (2) rolls, 65 feet each. Made in Poland, a major exporter of carpenters and sheetrockers, so they ought to know. 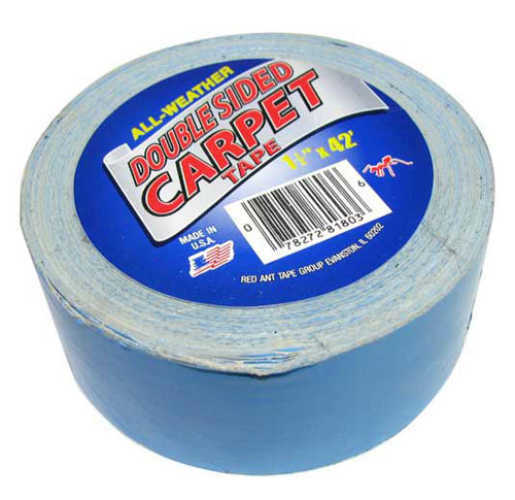 Our Associate VP for Residual Tackiness says this cloth tape is not as residual as duct tape (meaning it won’t leave as much residue behind when you pull it up), but tackier than gaffer’s tape. 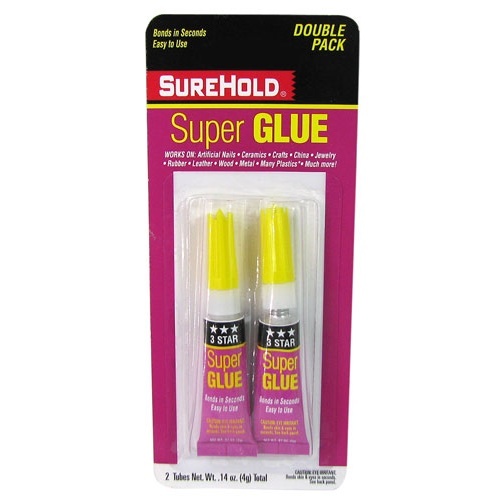 Strong and sticky, easy-to-tear, and just right for repairing vinyl, upholstery, plastic, canvas and most other stuff. 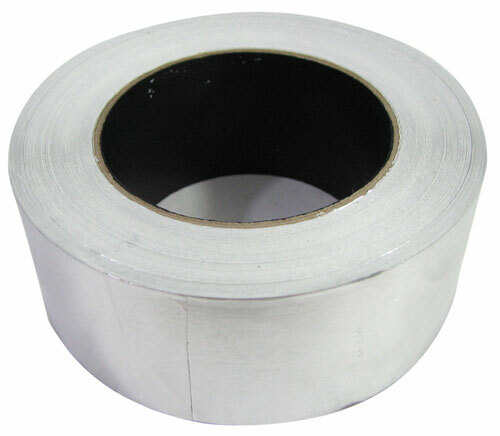 On 4-meter (approx 13-foot) rolls, they’re 1-7/8” wide on a 1-1/2” core. You pick red or white. Actually it means polyvinyl chloride, but PVC tape is the choice when you need a non-corrosive pipe wrap or something similar. Peels clean, conforms to awkward shapes, is water resistant and flame retardant. Also stretchy. 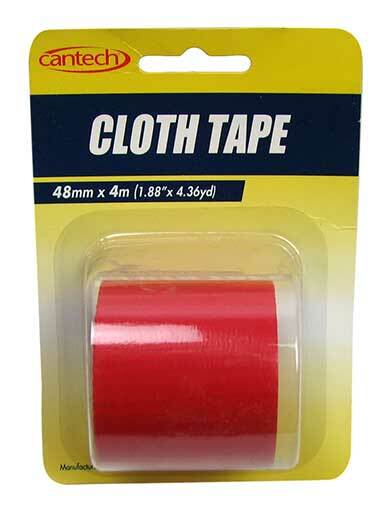 Our each is (15) feet of 3/4” wide red PVC tape on a 1-1/2” core.